“A few what?” asked Lisa. Mona and Lisa stood together and studied the desolate rendering. “I wonder what it means,” Mona offered a half smile only half interested. Lisa withdrew into herself for a moment, an emptiness filling her eyes that Mona found profoundly disturbing. “What’s up with you?” Mona asked between smacks of gum. Lisa didn’t answer right away, trying to grasp the image’s message. Sharing how she felt was going to be a challenge. Mona was easily distracted. “But it’s just a broken statue. It doesn’t mean anything,” she whined. Mona thought for a moment. Took another look at the image and sighed. She couldn’t see any meaning. Lisa turned to face the friend she realized she hardly knew. 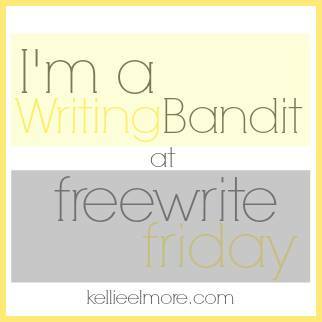 My response to Kellie Elmore’s Free Write Friday challenge this week. Follow this link to find the image prompt. This was a fun, yet a very touching piece that depicts how our youth is split and takes freedom for granted too easily. Whoa. I like the allegorical nature of this story. I visualize a dystopian setting (of course the image helps!) but one that is full of hope through the strong message of Mona.Let’s hope Lisa (we) wakes up soon! Phew! 😉 … Thanks for letting me know. I was concerned there, for a minute. This the first post I’ve read of yours, but I have to just say WOW! I find myself wanting more, more, more! Now I have to trot off to check out the rest of your site. You write beautifully. Beautiful. It touched my soul and I totally agree with it. Your words are naked, just as the truth. aloha Dorothy. my first thought to this prompt was in the direction of human beings as image makers. much in the way you have gone. you have taken that into a much better place and presentation than i was headed (i altered course and began again in another direction—slightly). i like what you’ve done with it a lot. and the presentation is superb (imo). an excellent response to the prompt. aloha. I love your work, I love thought provoking pieces. Thank you for allowing me into your world. I’m following your blog now. It was very profound and touching. A beautiful, disturbing piece all wrapped together.